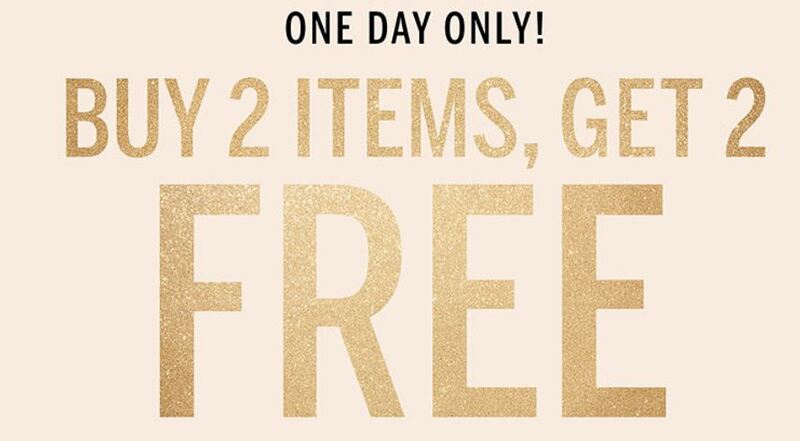 Today only, for the first time ever, shop Victoria's Secret and get Buy 2, Get 2 Free on just about EVERYTHING when you use the code VSB2G2 at checkout. This is a super rare offer and the site is experiencing high volumes so be patient! In addition, through November 29th, when you make a $40 purchase, you'll receive a $20 off $50 purchase Holiday Reward Card. Shipping is free on orders over $100 or is a flat rate of $8. Or, if you're a VS Cardholder, bras ship free when you use your Angel Card and the code JUST4ANGELS at checkout. Head over HERE to shop your favorites.